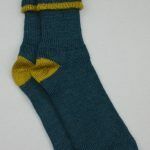 The Exmoor sock is a warm, comfy, loose-topped sock for everyday wear. 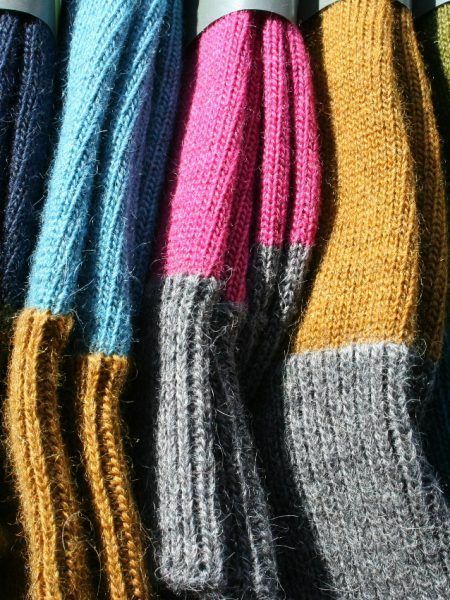 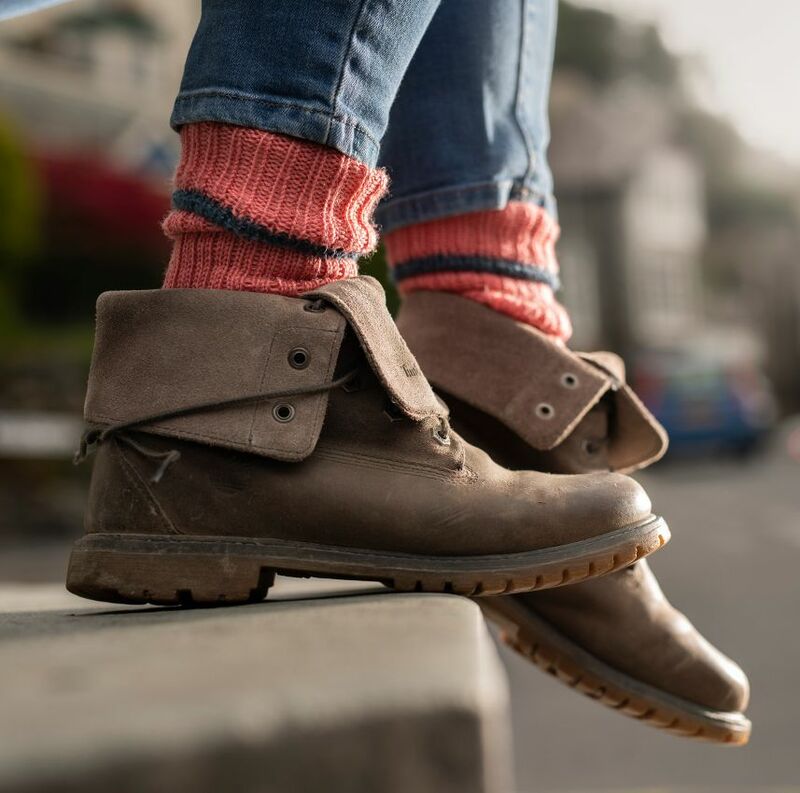 Each colourway has a contrast heel, toe and top band and is knitted with yarn spun by John Arbon at his mill from local Exmoor sheep. 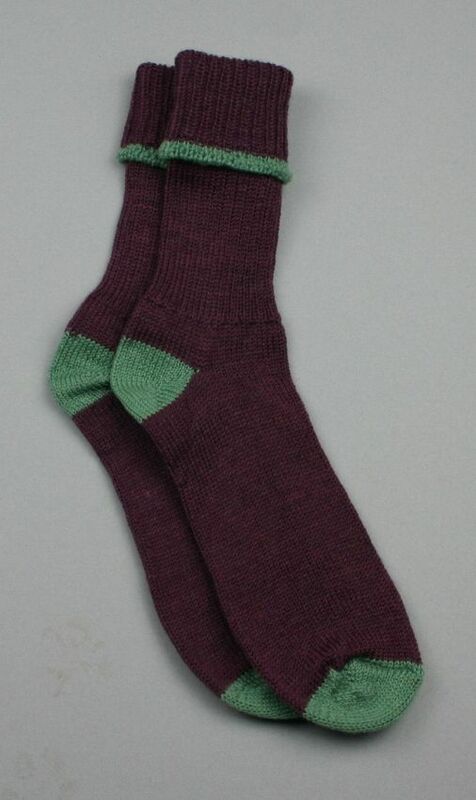 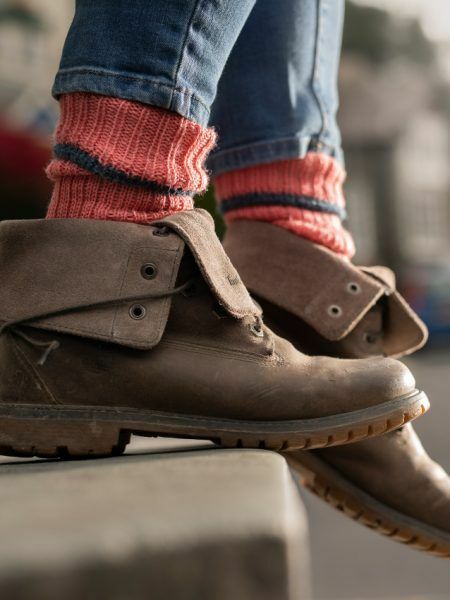 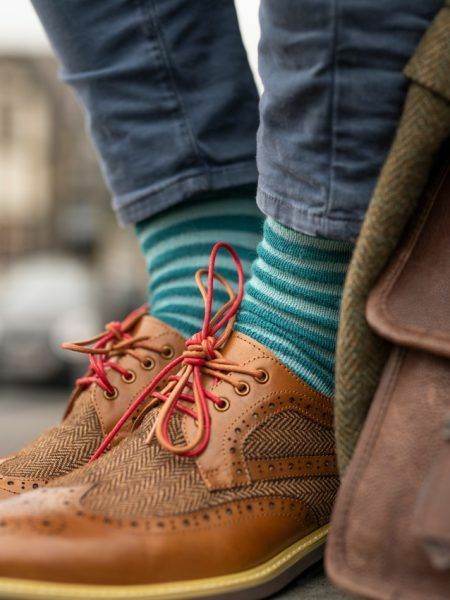 The Exmoor Sock is designed for everyday wear by men and women. 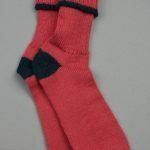 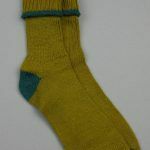 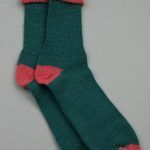 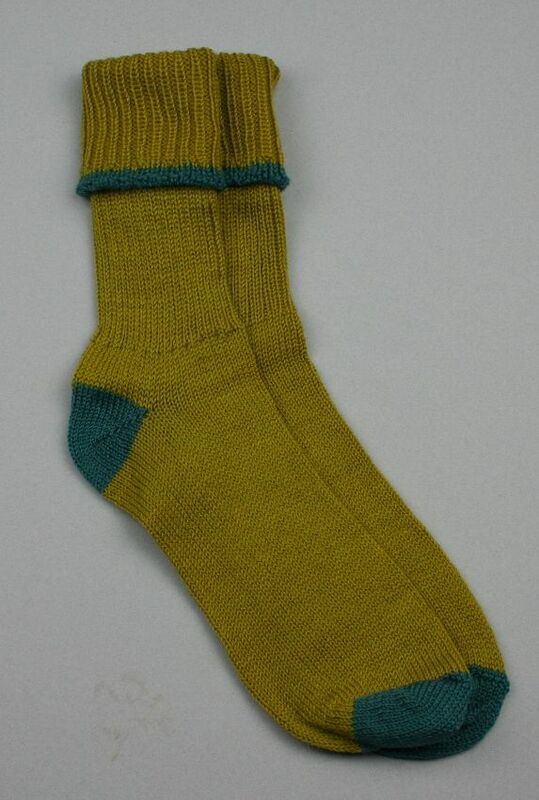 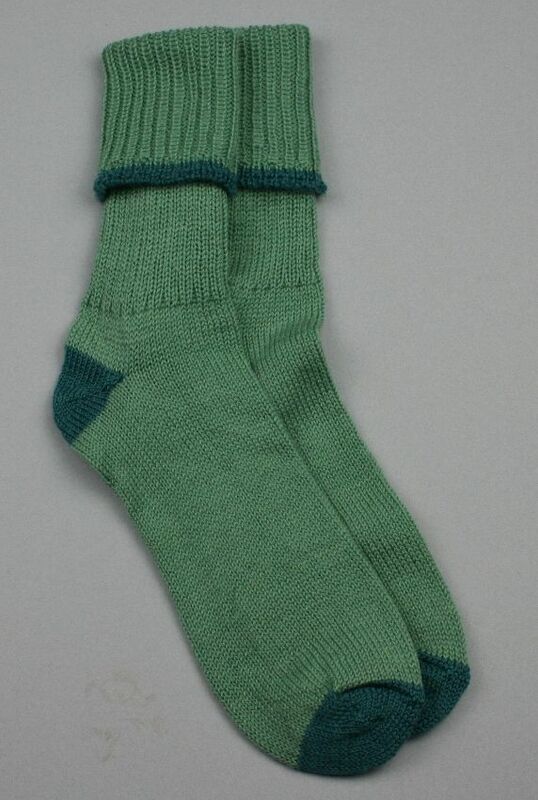 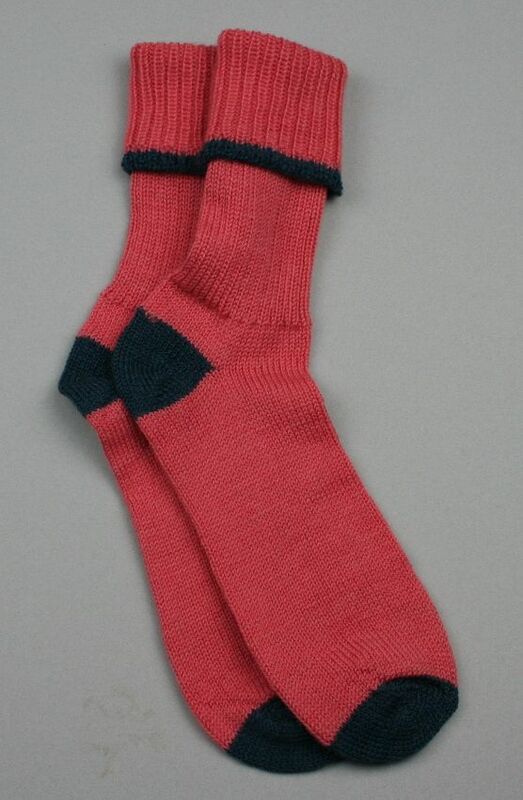 British wool is an excellent fibre for socks as its ability to absorb moisture keeps feet warm and dry. These are ankle length socks. 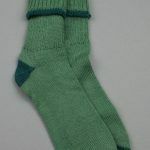 In place of a ribbed cuff which may be uncomfortable for some, they have a non-elastic ribbed body so they stay in place. 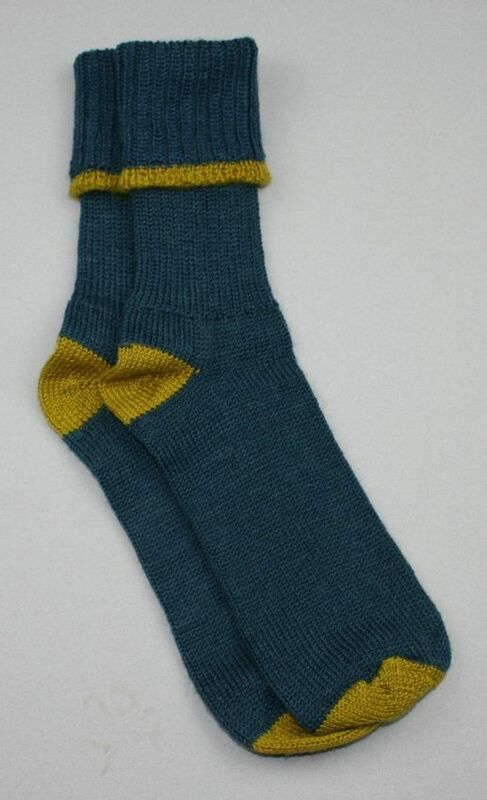 There are three unisex sizes, small (shoe size 4-7), medium (8-10) and large (11-13). 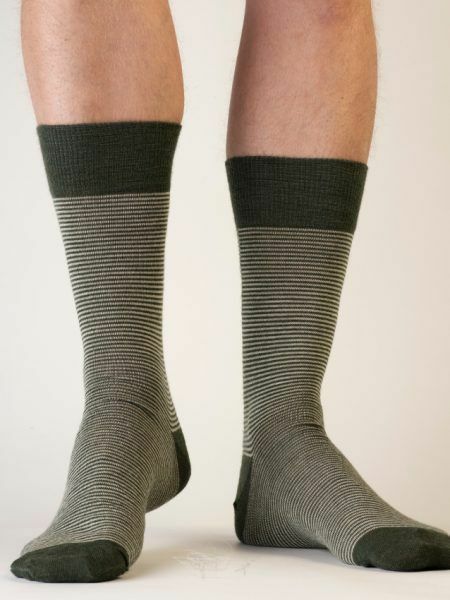 The nylon content provides enough stretch to give a good fit. 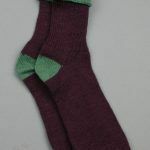 There are six colourways available in three unisex sizes.